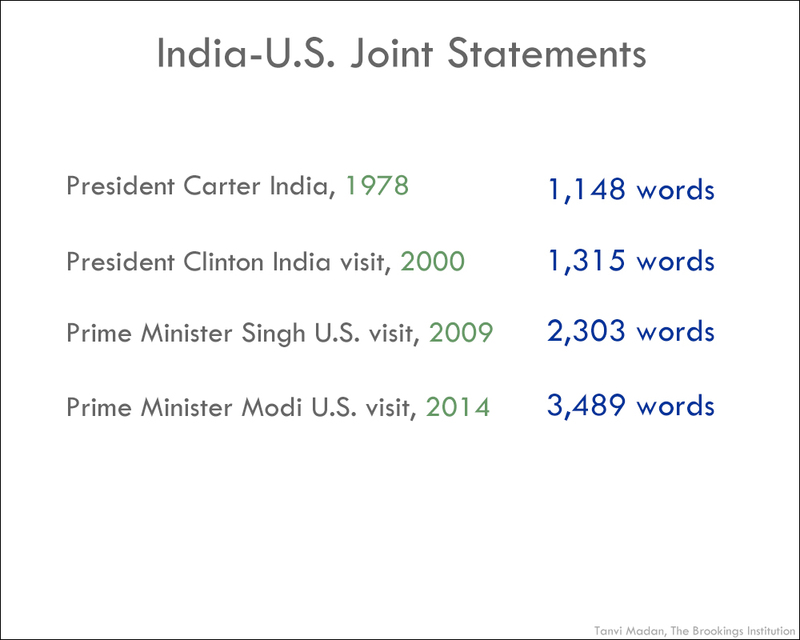 As President Barack Obama visits India, it’s worth putting the India-U.S. relationship in perspective and consider how far it has come in recent years. Fifteen years ago, there were U.S. sanctions on India. 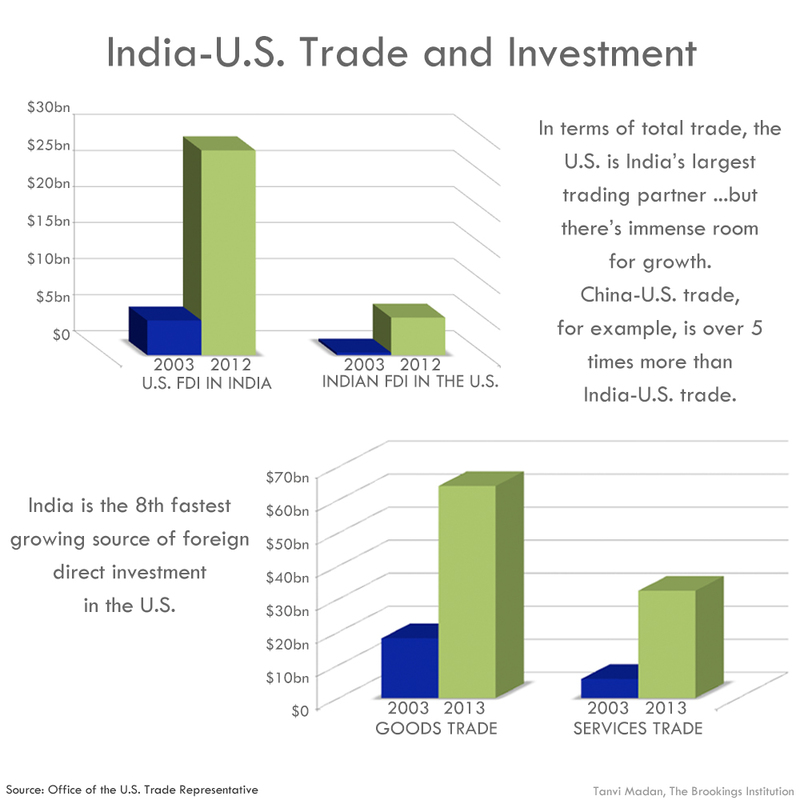 More recently, the Obama administration has said the U.S. relationship with India “will be one of the defining partnerships of the 21st century.” Indian Prime Minister Modi has asserted that “India and the U.S. have a fundamental stake in each other’s success—for the sake of our values and our many shared interests.” These 16 charts and graphics show that the relationship has changed in other ways as well, including the areas of high-level India-U.S. engagement, economic and defense ties, people-to-people connections amongst Indians and Americans and future opportunities to increase bilateral cooperation. 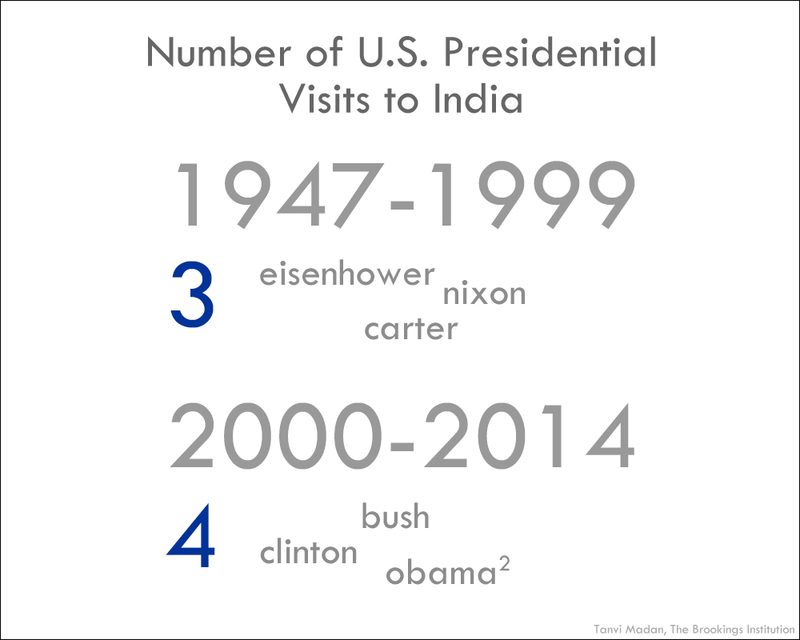 High-level India-U.S. engagement has been more frequent in the last decade and a half than in the years before that. The relationship is broader and deeper than ever before—so much so that it’s become a cliché . 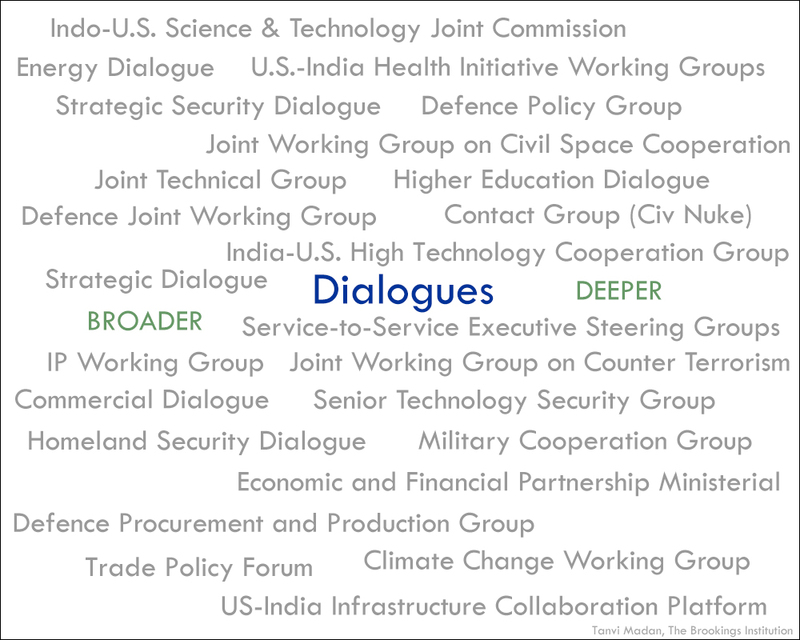 The dialogues at the highest level reflect that breadth and depth as well—something that’s apparent in the joint statements issued during high-level visits both qualitatively and quantitatively. 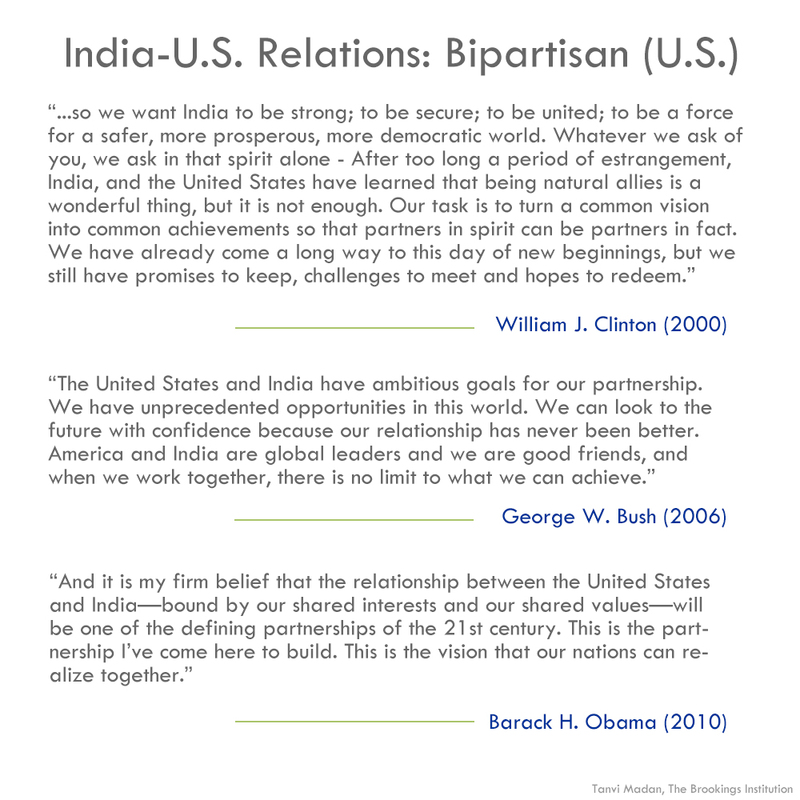 In recent years, the India-U.S. relationship has enjoyed bipartisan support in the United States, with both Republican and Democratic administrations and legislators indicating support for it. 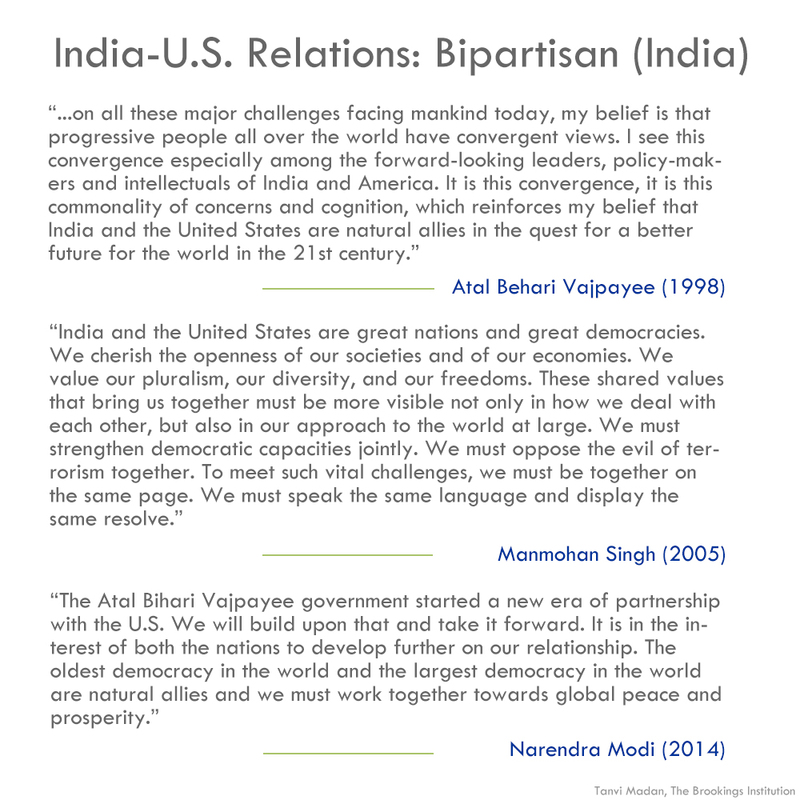 In India too, Bharatiya Janata Party-led and Congress party-led governments have worked to strengthen the relationship. 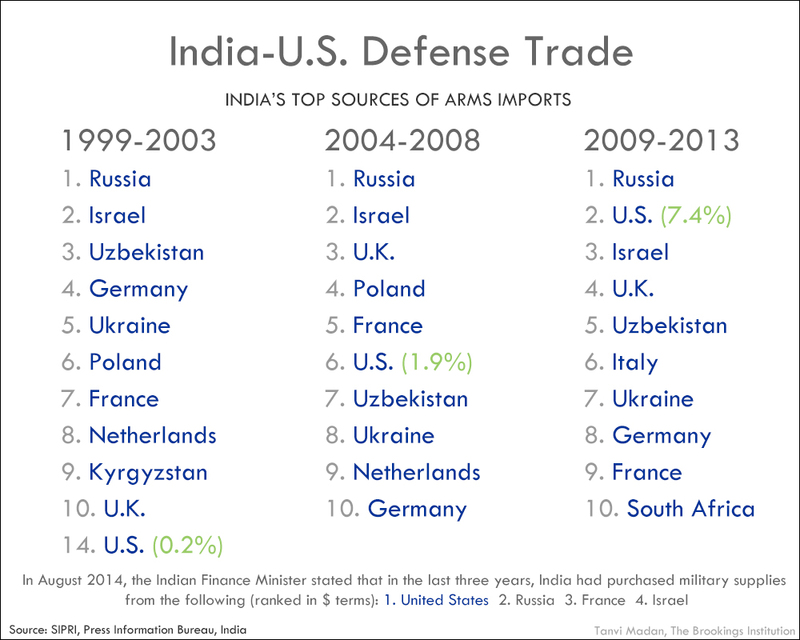 And defense ties between India and the United States have increased as well. 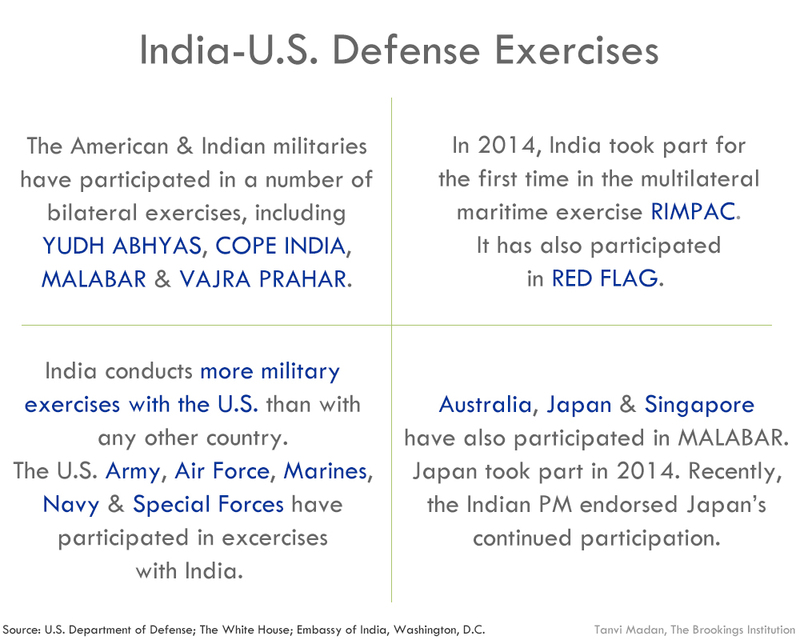 The defense trade relationship has been a key element of this cooperation, with hopes for much more on this front. 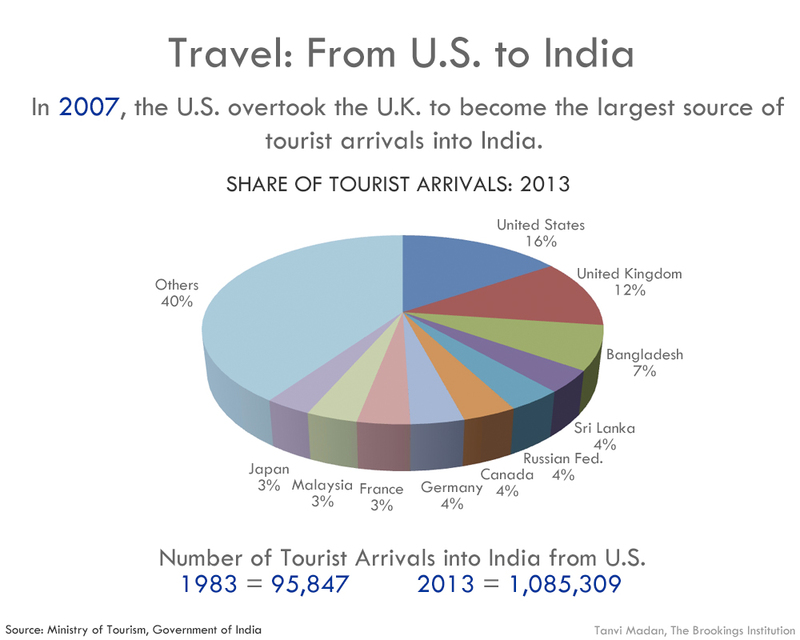 …and India to the United States. 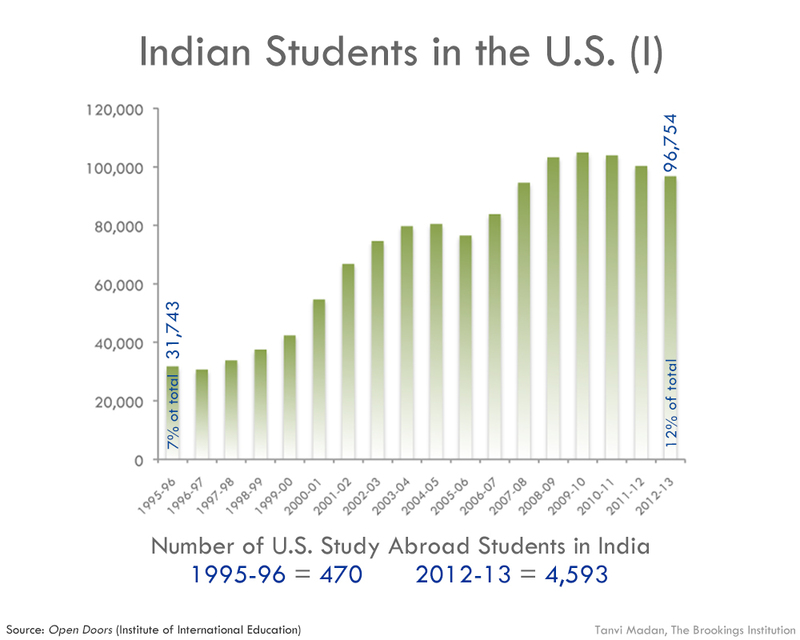 The number of Indian students traveling to the United States for higher education has also grown, tripling in the span of a decade. As Neil Ruiz points out in his recent report, significantly, these students are enrolled in graduate degree programs and a majority are in the science, technology, engineering and math fields. 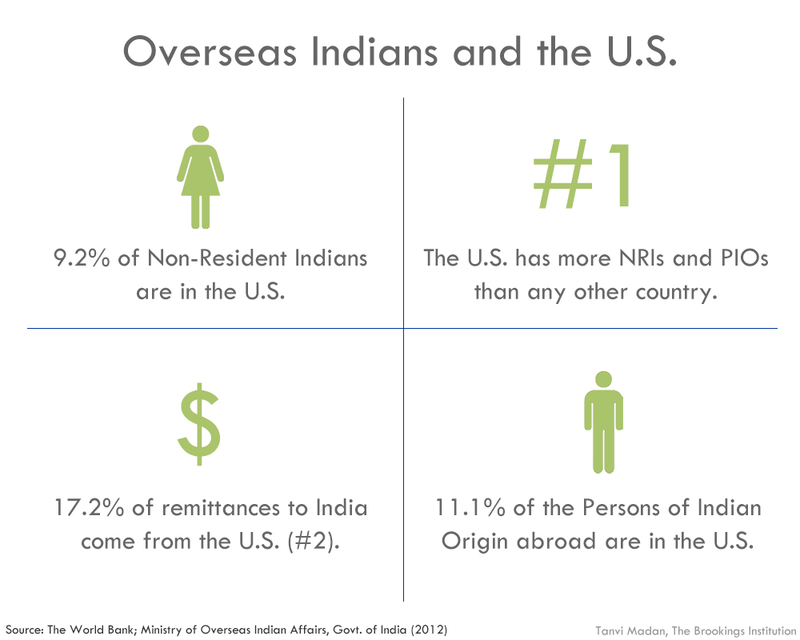 While India has economic and defense ties with other major powers as well, one of the elements that makes its relationship with the United States different is the significant Indian diaspora in the United States that has grown over the last two decades. 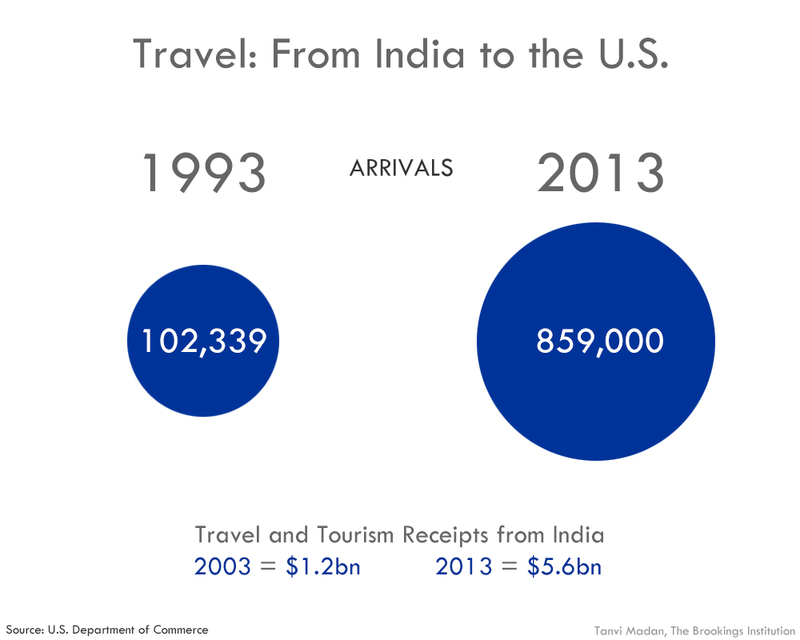 This diaspora not only provides a cultural link to the United States, but is also a source of revenue for India. 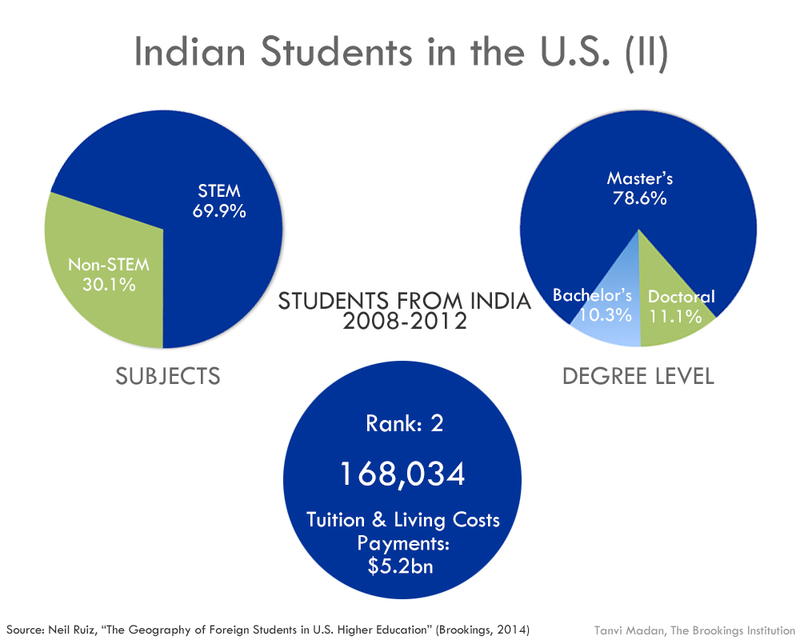 Indian Americans are running everything from government agencies to states to major companies to research facilities; they’re headlining news shows and primetime sit-coms. 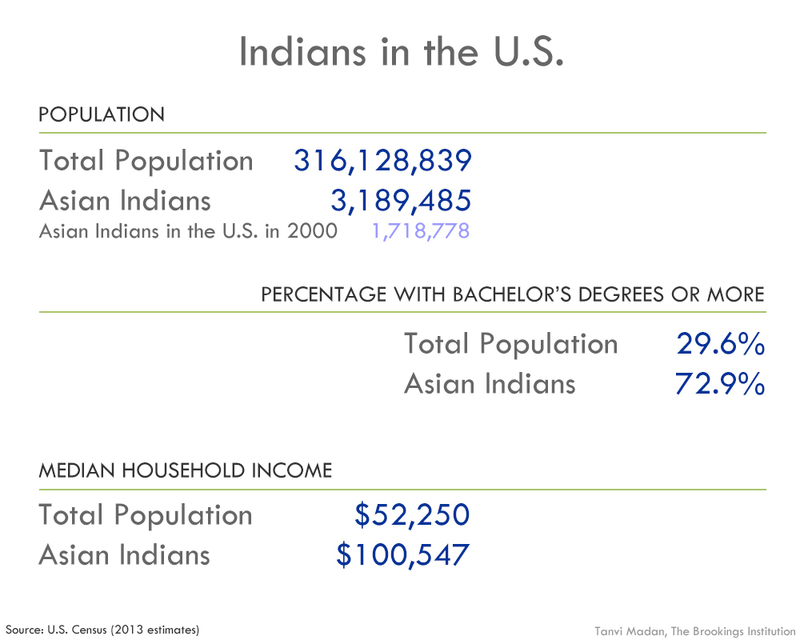 Still only about 1 percent of the total U.S. population, “Asian Indians”—as the Census labels them—on average are highly educated and have a household income almost double that the national average. 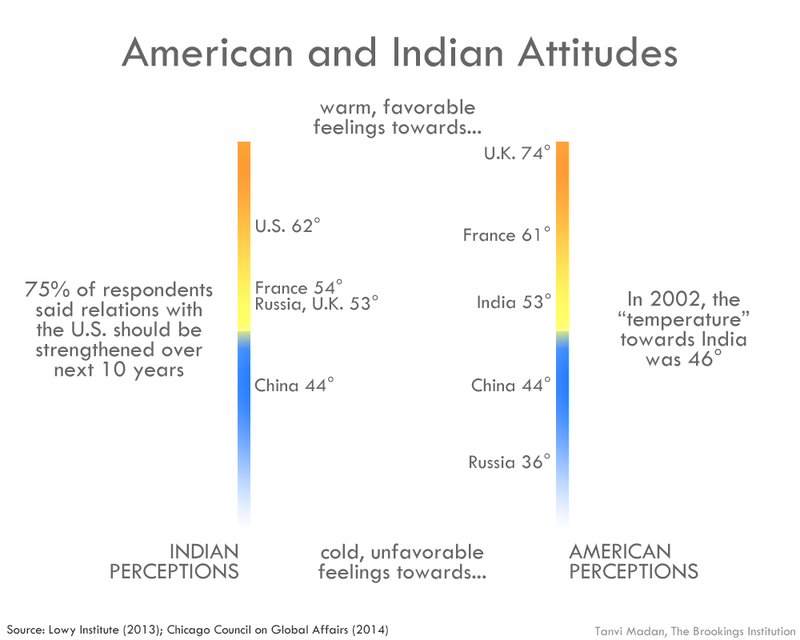 There also seems to be more popular support than before in India and the United States for strengthening the relationship. And there are various areas where the two countries can increase their cooperation, but to move from opportunities to outcomes, India and the United States will also have to deal with certain obstacles along the way…something both Prime Minister Modi and President Obama will be well aware of. 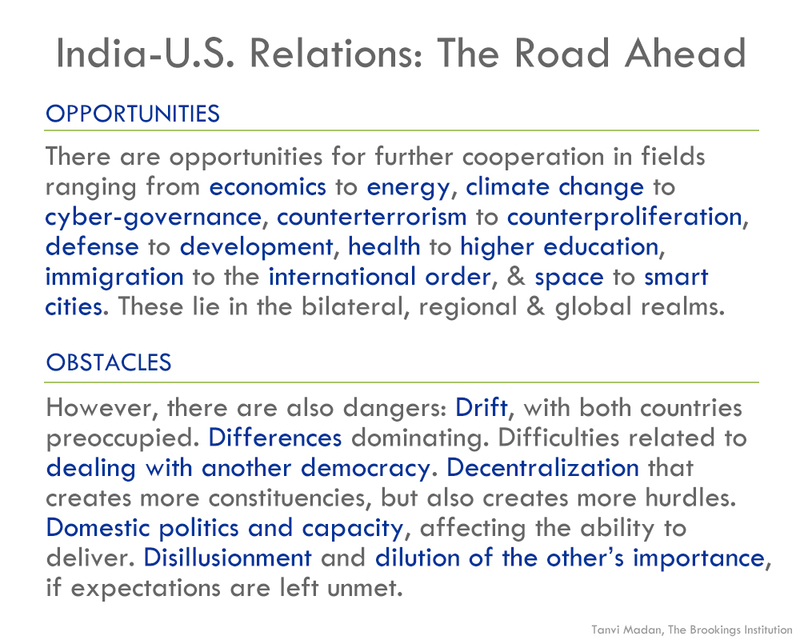 As President Obama and Prime Minister Modi prepare to meet in New Delhi, the Brookings India Center in New Delhi and The India Project in Washington, D.C. produced a briefing book consisting of 16 memos written by a wide array of Brookings experts.